Miquel Ros is a business development consultant, focusing on projects that are at the intersection of travel and technology. 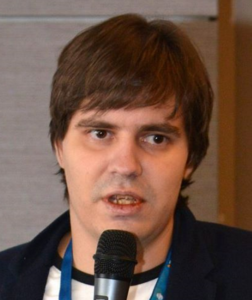 After several years in London, where he worked at Bloomberg, co-founded an online venture and was an editor at Flightglobal, Miquel moved to Moscow to manage e-commerce and online marketing at Dobrolet (currently Pobeda), the low-cost airline of the Aeroflot group. Miquel’s consults in the air travel industry, assisting clients in several countries monitor the main trends in travel and aviation and advising them in the development of their international business. Miquel also provides expert commentary on CNN about aviation and air travel. Valentin Dombrovsky started in online travel in 2011 when he began working on the event startup Travelatus. Launched in May 2013 the company was sold to global tours and activities marketplace Excursiopedia in December the same year. 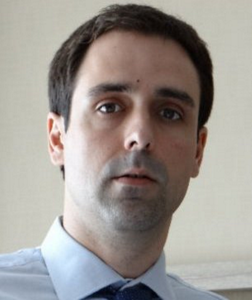 In Excursiopedia, Valentin acted as VP Innovations and then Head of Market Relations. In 2015 he started his own travel technology consulting and conference company Travelabs. Valentin cofounded Travel Startups (Russian) and Travel Startups Intl. communities, acts as a scout at Travel Startups Incubator, mentor for 33entrepreneurs startup accelerator, is frequently published in TNooz, and acts as one of the organisers of Travel Tech Conference Russia. Mark Lenahan is a frequent speaker at travel industry conferences, as well as publishing articles and providing training courses on topics including travel product retailing, eCommerce, loyalty programs and redemption, customer journey and customer experience. 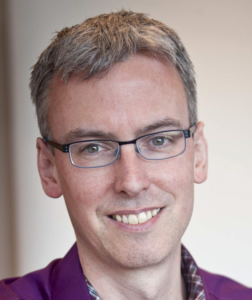 Mark co-founded CJ Ignition with Cormac in 2016. Over his 21 years in travel technology Mark has worked on projects in every part of the travel eco-system for clients including: BA Holidays, Cathay Pacific, LoyaltyOne Airmiles, Asia Miles, Color Line, S7, SNCF, TravelSky, Hainan, China Southern, Four Seasons, Malaysia Airlines, Thai Airways, Star Alliance, Sabre, and American Express. Cormac Corrigan has extensive commercial and technology experience in travel / transportation and retail, with a strong track record in leading business and technology innovation, leveraging latest context-aware mobile and sensing technologies. 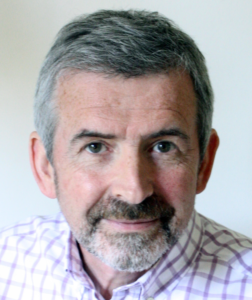 Cormac has led product management in self-service check-in products for some of the world’s leading airlines as well as 25 years at British Airways in various commercial, airport, revenue management and cargo roles. In 2016, Cormac co-founded CJ Ignition to help travel companies gain a deeper understanding of their position in the wider travel eco-system.